If you like this free game, try Island Tribe . Help the tribe find a new home and discover new worlds in Island Tribe 2. After sailing for days without a home, you end up on an island with settlers. With your good time management skills, explore the island and build a good settlement spot for your villagers. Hurry! Before the sky turns dark. 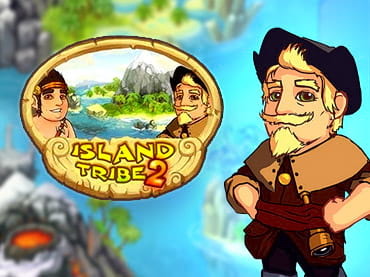 - Island Tribe 2 is a free full version game to download and play. If you have questions about Island Tribe 2 game, please contact us using this form.